Nantahala Outdoor Center is the nation's largest outdoor recreation company. Over a half million guests visit NOC annually to embark on a diverse collection of more than 80 different whitewater rafting and land-based itineraries, learn to kayak at NOC's world-renowned Paddling School, travel to 12 foreign countries with NOC's Adventure Travel program, test the latest outdoor gear and shop at its flagship retail stores or enjoy NOC's resort amenities such as its four restaurants and multi-tiered lodging. A privately-held, employee-owned company, NOC is one of the largest employers in Western North Carolina and 22 Olympians and Olympic coaches have called NOC home. NOC has been recently recognized by The New York Times as the "Nation's Premiere Paddling School," "The Best Place to Learn" byOutside, and as "One of the Best Outfitters on Earth" by National Geographic ADVENTURE. Operating 15 miles outside of Washington DC, we are the region's premier kayak school for beginners. A Washington, DC-based retailer of inflatable stand up paddle boards featuring locally developed Earth River SUP boards and accessories. 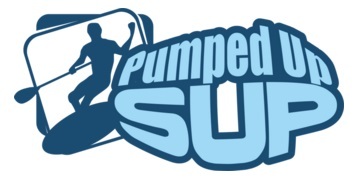 Pumped Up Sup is run by stand up paddling enthusiasts who have turned their obsession with locating, sourcing and testing the best in stand up paddle gear into a retail operation with an informational emphasis. We have tested and used every item we sell and enjoy sharing what we have learned about the equipment with shoppers who are either new to the sport or want to take their equipment to a higher level. Maker of fine custom canoe and kayak paddles, raft guiding, and custom woodworking, anything from a box to a bedroom suite. River & Trail offers guided whitewater rafting, tubing, kayaking, canoeing, climbing, cycling & hiking trips in the historic, Harpers Ferry area. River trips & lessons take place in Maryland, Virginia, & West Virginia on the Potomac and Shenandoah Rivers and Antietam Creek. In 1938, mountain climbers Lloyd and Mary Anderson joined with 23 fellow Northwest climbers to found Recreational Equipment, Inc. (REI). The group formed a consumer cooperative to supply themselves with high-quality ice axes and other climbing gear. During the past six decades, REI has grown into a renowned international supplier of specialty outdoor gear, currently serving more than 1.8 million active members through 60 retail stores in the U.S. and by direct sales via the Internet, telephone and mail.